In 2003 Stacey Edgar didn't have a business plan. . .or a passport. That didn't stop her from creating a socially conscious business that has helped poor women in five continents feed their families and send their children to school. Stacey Edgar refused to be paralyzed by the size of world poverty. With a $2,000 tax return and a profound desire to help provide economic security for women in need, Global Girlfriends was created. GG is a passionate testament to Stacey following her convictions, a template for us all to follow. Take simple actions to eliminate extreme poverty. 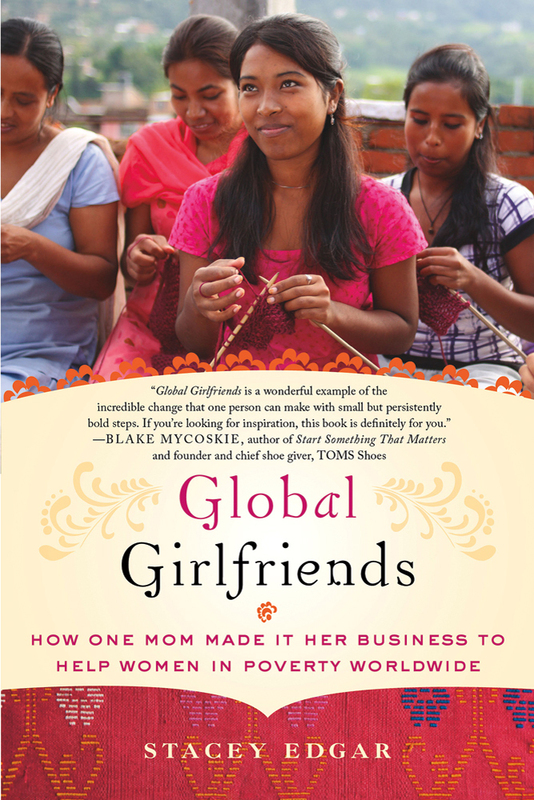 Global Girlfriends has grown into a multi-million dollar enterprise that specializes in handmade, fairly traded, eco-conscious apparel and accessories made by women from all over the world. An excellent read, a dream...and a guide.